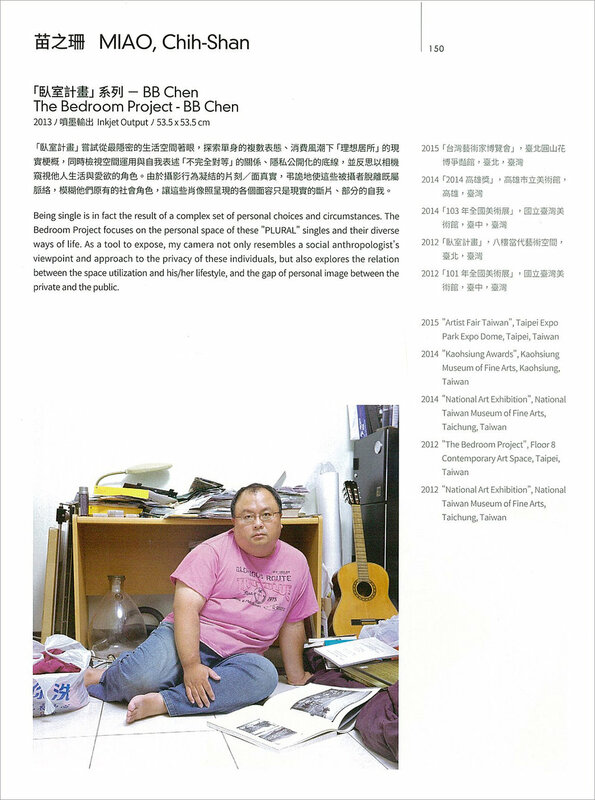 Chih-Shan Miao, a former book editor, a freelance photographer, a part-time language teacher, and an interdisciplinary artist, is based in Taipei, Taiwan. She received her BA in English at National Central University in Taiwan, and MA in Communications Studies at Leeds University in UK. Before she started her photography career, she was a senior editor in charge of books editing and publishing. Her personal works show her interests widely in sociological approaches to contemporary portraits (The Bedroom Project); the power struggles between her as the part-time teacher and her students (The Classroom Project); the context re-created by both images and texts (The Reading Project); the reconsideration of authorship, originality, and individuality (The Writing Project); the dynamic adaptation in languages (The Speaking Project) and the anxiety of efficient communication in languages (The Listening Project). Miao’s recent works include the lost and the found of friendship (The Postcard Project), and the imaginative escape from the ordinary reality (The Anaglyph Project: Portal). If You Were in My Movies (2018) and Riddles and Rhymes (2019) are her latest projects which are still ongoing. 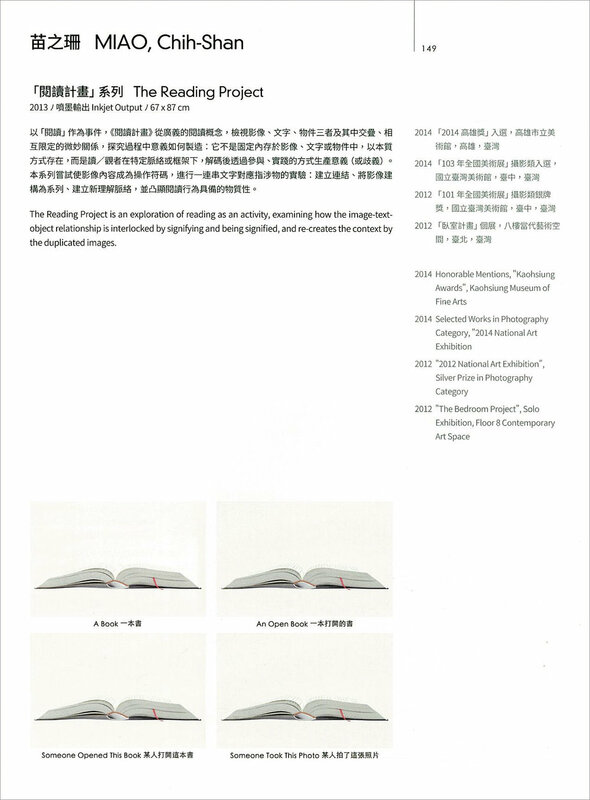 Miao was awarded Silver Prize of Photography in 2012 National Art Exhibition and Honorable Mention of Photography in 2014 National Art Exhibition. She was also awarded Honorable Mention of 2014 Kaohsiung Awards of Fine Arts. 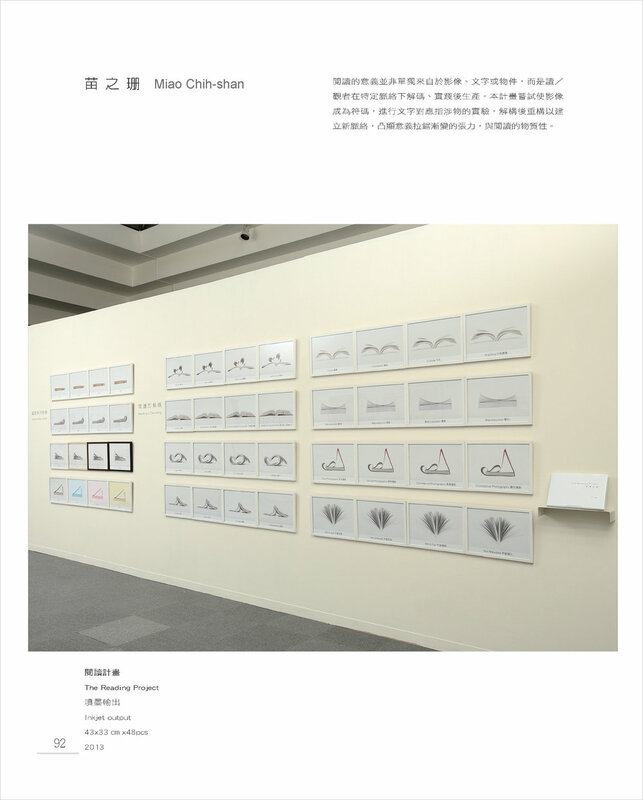 She was included in several group exhibitions in Taiwan.